Hello beauties! 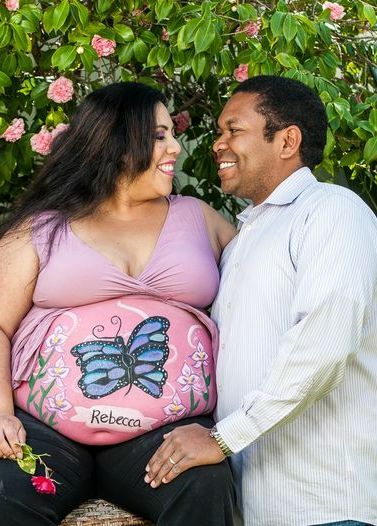 I recently got the chance to work on Sharon’s belly for a maternity shoot, for the second time. You may remember parents-to-be John and Sharon from this previous post when Sharon was pregnant with baby Derek. 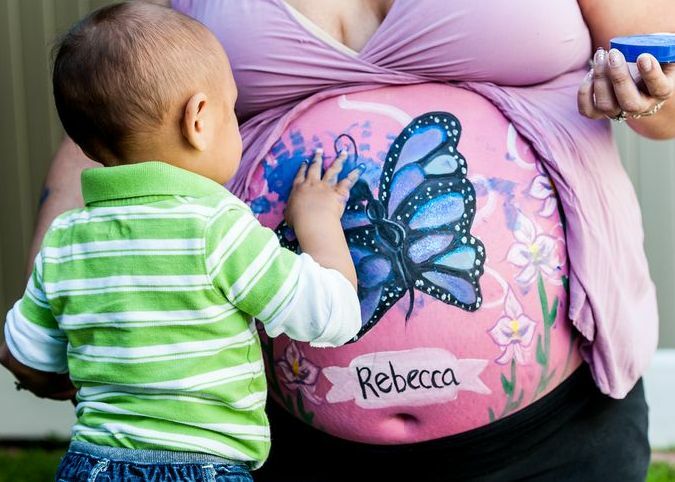 Derek’s theme was airplanes and travel, so we painted the world on her belly and it turned out amazing. 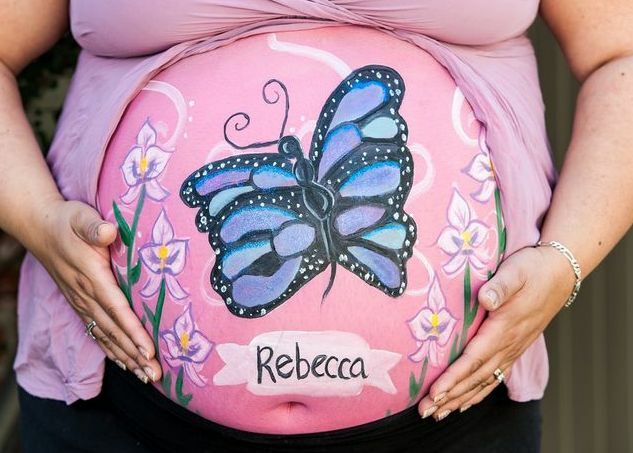 This time, it was baby Rebecca’s turn, and Mommy Sharon wanted the girliest theme ever: butterflies, orchids, lots of pink and of course, glitter! DS Photography was on hand to capture the moments. 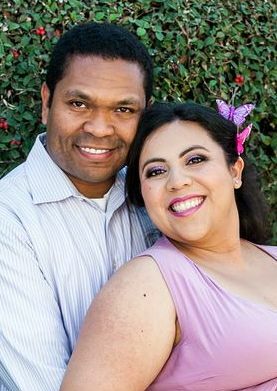 I adore this lovely couple! It was very surreal having little Derek there to “help us” with baby Rebecca’s painting…just about a year and a half ago, we were doing the same for him! I love this one of Derek, contemplating his next streak of blue.